If you create something and would like it hosted on this site, please let us know. Read what the link says on the Creative Commons site. Generally, use them in your works, change as required. But please, 1) give attribution when you use them, both in commercial or non-commercial work, 2) provide a link to the original material and, 3) send a note to let us know what you changed. Report Form – Manager’s Walk Through: Dynamic, Online and probably OK. It matches the current DCPs, but those and this are in the process of being streamlined – 3 new versions that will separate out the audio and the picture tests, and make the combo playlist more clear and linear. Why? This version is OK for someone who is comfortable looking and hearing simultaneously, but a bit demanding for the someone on the training end of the curve. Let us know how else it might be improved. Faces1 Test: 2K – The Faces series works with the human visual system’s innate ability to notice color problems in faces even though it can be tricked by everything else. 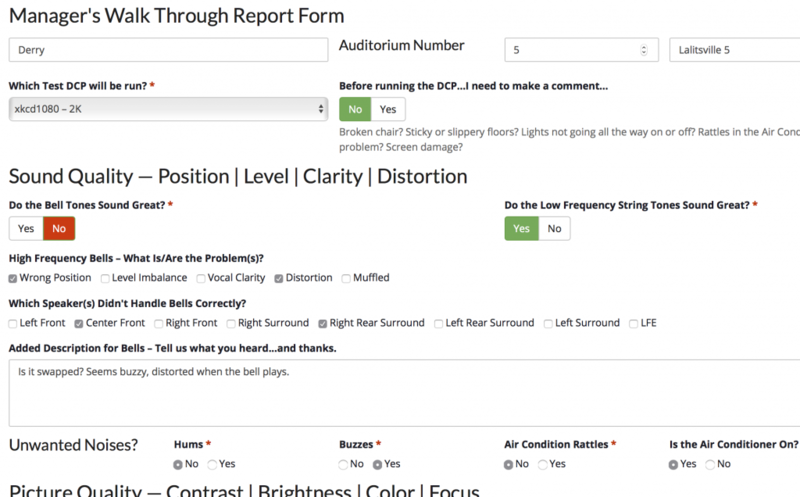 The non-technical staff can use it to report changes in color and contrast to the Tech Staff with the coordinated Manager’s Walk Through Checklist. The DCP also includes sounds that travel around the room, bells and pizzicato strings, that help judge sound issues. 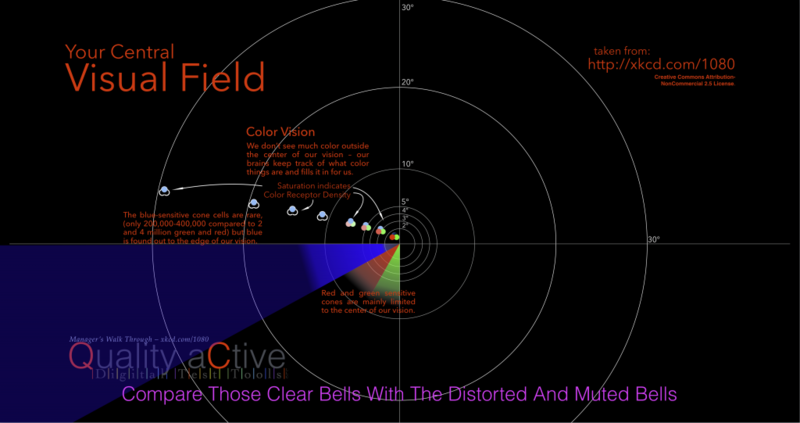 xkcd1080 – 2K: xkcd did a wonderful piece on the human visual system in one black and white cartoon. This DCP stretches it out and adds a few other bits to educate non-technical staff while entertaining. It includes sound tests as well, all which correlate to the Managers Walk Through Checklist. Click on the picture to go to the Vimeo QuickTime file. Have fun, and comment please. You may as well know what the Managers are going to be talking about when they say that they have made notes on their Form – Please send your ideas for improving this. Align1 – Music– Being remade into SMPTE Compliant Format…sorry for delay. New SMPTE Pink Noise Tones; 5.1 – Being remade into SMPTE Compliant Format…sorry for delay. 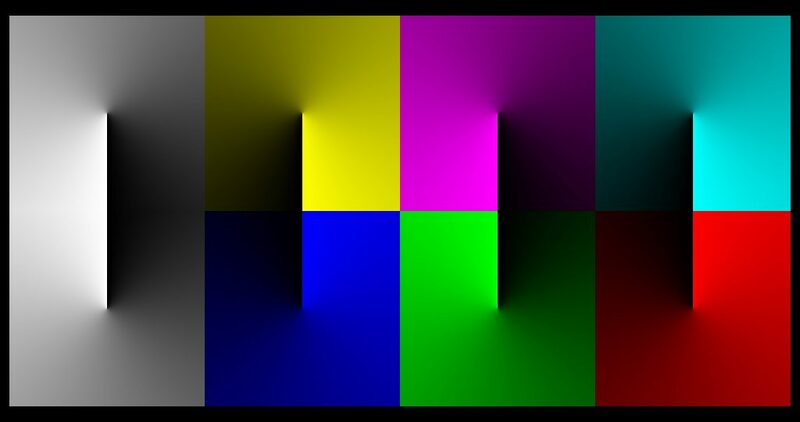 New SMPTE Pink Noise Tones; 7.1 – Being remade into SMPTE Compliant Format…sorry for delay.